SKY-HI surprised 3,000 fans at their live in Tokyo with the news that they will be performing in the Nippon Budokan! 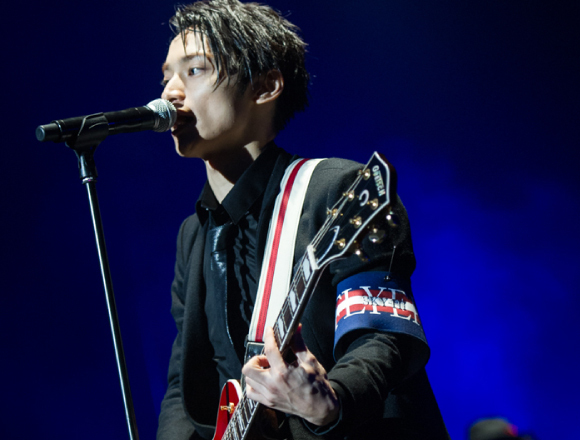 On Wednesday 14th December, SKY-HI, who had just released “Double Down”, surprised a crowd of 3000 fans at TOYOSU Pit with the news that they will be performing in the Nippon Budokan next year. 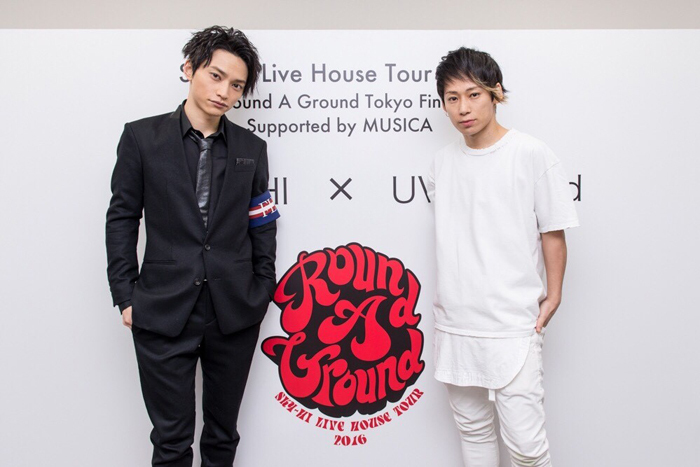 With the booming success of their hall tour at the start of the year and their live performances at numerous festivals, their “SKY-HI LIVE HOUSE TOUR 2016～Round A Ground～” started on 20th September in Fukushima, invaded the Kyoto region on 10th December, and then was wrapped up with their finale “SKY-HI LIVE HOUSE TOUR 2016～Round A Ground Tokyo Final～supported by MUSICA” at TOYOSU Pit, Tokyo. Their final live performance at TOYOSU Pit was a Battle of Bands-style live with UVERWorld ー a fellow band in the music industry and also good friends. The live tour semifinal was a massive success and the venue was filled with approximately 3,000 fans. As the performers spoke at the start of the live, the fans screamed with excitement. If they were to die today, they would be satisfied that they at least got the chance to see UVERworld standing on the big stage ー and that’s not an exaggeration! 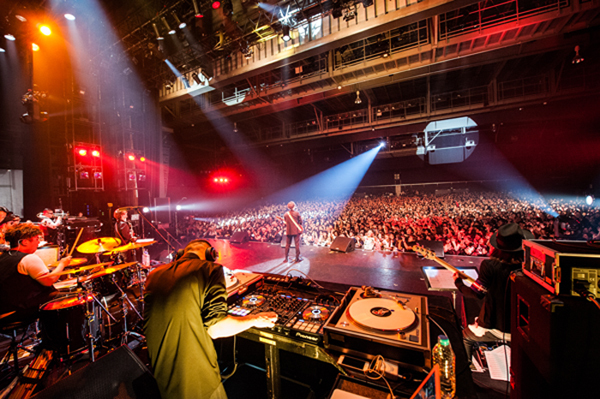 To express their gratitude to the many fans who came to see them, the rapper exclaimed “I’ll show you my ultimate weapon ー from my view through these rose-tinted glasses!” and then developed a high speed rap medley of the ending theme song for the 3rd season of popular TV show “Freestyle Dungeon”. From the very first day of the tour, the live was hot and boiling. When they started the intro of their newly released song “Double Down” (which was released on 14th December), the fans all sung in unison and the venue went wild with enthusiasm. Upon announcing their surprise news that they will be hitting the Nippon Budokan with their hall tour, which starts in March 2017, the crowd’s enthusiasm hit its peak. They will perform in the Budokan on 2nd May 2017. SKY-HI have packed 2017 with the release of their 3rd album on Wednesday 8th January, their hall tour which starts in March, and their performance in the Budokan in May. Check out their new album and come see them at the Budokan — you won’t be disappointed! And don’t take your eyes off SKY-HI for a second! ■Related article: AAA perform their first ever solo dome tour to 18,000 people and announce new single & album!